This morning officers from our Community Action Team (CAT) and Rural Crime Action Team (RCAT), along with the RSPCA, carried out a warrant at an unauthorised encampment in Willingham. Five people were arrested in connection with thefts and many suspected stolen items were seized including two vehicles, a number of quad and dirt bikes, a horse trailer and a caravan. 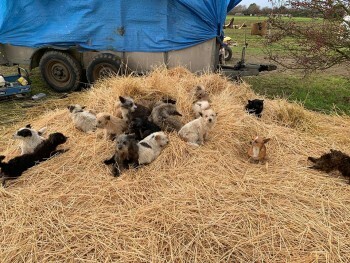 More than 40 dogs were found on site and have been seized. They are now in the care of the RSPCA.